This is what it's like to kick it with comedians Karlous Miller and D.C. Young Fly before a stand-up comedy show. Make sure you check out the 85 South Show upcoming dates featuring the fellas. 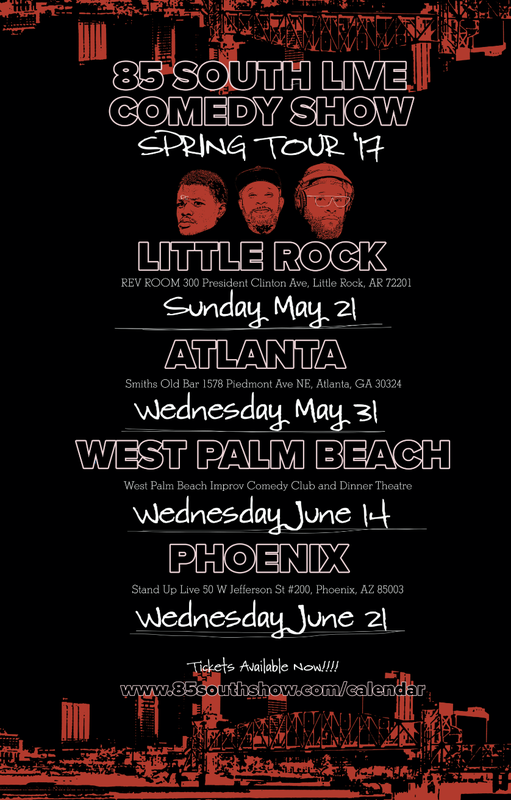 The 85 South Show Spring Tour features stops in Atlanta, West Palm Beach, Phoenix and West Palm Beach. Hit the link below to get tickets and details. Our boys at @globalsole are giving away one free pair of Foamposite’s to a lucky winner at our May 31 Live Variety Show! A purchased ticket puts you in the raffle to win a free pair of Foamposite’s from our fam at @globalsole. Winner will be announced at our live variety show in Atlanta! #thispodcastisfor them folks who ain’t never won a raffle in they life. Our boy’s at @globalesole are looking out! Purchase a ticket to get entered into our giveaway during our live variety show!